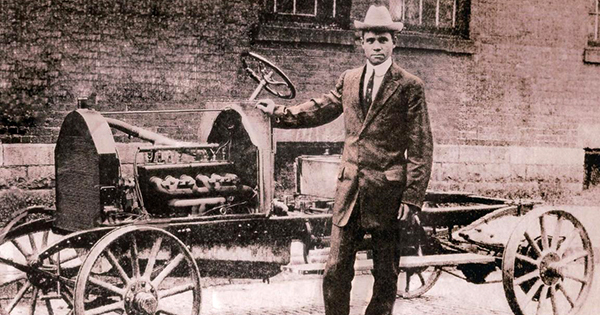 Although Henry Ford is often considered the father of the American automobile industry, many people don’t realize that one of the first manufacturers of automobiles in America was a former slaved named Charles Richard Patterson from Ohio. Patterson was a slave in West Virginia before he escaped to freedom in Ohio prior to the Civil War. Once in the north, he bought into a blacksmith business before ultimately taking over control of the company. Their line of horse-drawn carriage began production in the 1860's, and Patterson continued his work on carriages until his passing. After his death, his son, Frederick Douglass Patterson, took the reins. In the early 20th century, they shifted their focus to automobiles. Their first car rolled off the production line in 1915. Although the small size of the company prevented growth to the mass-production levels which saw Henry Ford grow into a household name, the company did expand out to the manufacturing of trucks and buses as well. Due to the limited production of Patterson-Greenfield automobiles and their unique history, they are now highly sought after additions to any classic car collection.